When I look over my schedule of all the things that I’ve done this year, it’s really amazing that I haven’t gone insane. And when people ask me how I do it, my answer is easy: I take time off. Being a mother of three under 9 years old is really quite exhausting on its own. Add to that the stress of owning your own business, volunteering as an Art Docent in three classrooms at my daughters’ school, selling at four different stores in my area, leading a girl scout troop, being a community organizer for a nonprofit and teaching at various venues around the state. But I’ve learned that it’s important to have a balance. I have an amazing husband who is vey supportive of my business and my well being. Earlier on in our marriage, when I wasn’t taking time off, we hit some rough patches. He (and I) came to fully comprehend the line “If mama ain’t happy, nobody is happy.” This awareness actually led to him encouraging me to take some time away to recuperate. I wish I could clone him for you. Earlier on in my regrouping efforts, I was still taking my anxiety with me. I would go on retreats where I would be teaching, or organizing, or storytelling and had convinced myself that I was still getting away from the stress of home. But it wasn’t working. I came to the realization that in order for my time off to be truly mine, I had to leave everything (and everyone) at home. Now when I go away, I leave my phone out of my sight (do I really need to know what my husband fed my kids for lunch?…not really, I’m sure it’s not nutritious and fast food, but I bet they’ll live), my projects stay at home (I know I need to deliver 24 sarcastic birthday cards to my store in Pike Place Market because my inventory is low, but I bet they’ll survive till next weekend) and my email stays unanswered (yes, it’s amazingly cool that Seif Al-Islam Gaddafi was caught, but I bet the news will be same on Monday when I get back). Because the true definition of vacation is a specific trip or journey, usually for the purpose of recreation. And I think we as a modern society have forgotten how to relax and view real recreation as a way to take a breather from the rest of what you are in the real world. The most important thing I pack now? My pjs and my Nook. Because really, when was the last time you actually saw a mother of three sit down and read a book all day? 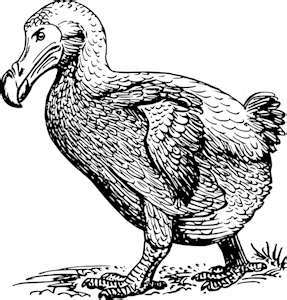 And I bet if we don’t do it more often, we’ll be as extinct as the Dodo Bird.